Idyllically nested on the waterfront in the heart of the romantic and fabled 1000 Islands, the historic Gananoque Inn is a haven for guests seeking the charm of a small town with the amenities and food of one of Ontario’s most dynamic Inns. 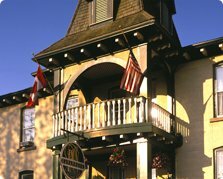 As the only 4½ star Canada Select rated inn located in Eastern Ontario the Gananoque Inn & Spa has been hosting visitors since the 1890s. 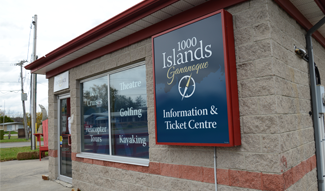 A stone’s throw from the famous Gananoque Boat Line and the Thousand Islands Playhouse, and within walking distance to other attractions, parks, shops and more, the Inn’s location still feels secluded. It incorporates 53 unique rooms, some with Jacuzzis and water views, balconies, fireplaces, and even a honeymoon suite. 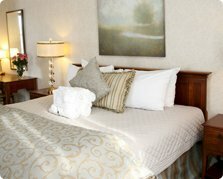 The Gananoque Inn & Spa caters to conferences, weddings, and visitors all with the same passionate attention to detail. 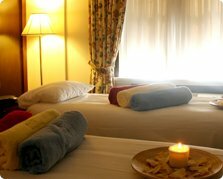 Luxuries and services make staying at the Gananoque Inn & Spa an indulgence. Two waterside restaurants offer guests the opportunity to dine in an idyllic setting overlooking the St. Lawrence River or relax in a casual atmosphere. With the restaurants and an impressive spa on site, the Inn is sure to treat the tastebuds while also providing some pampering.